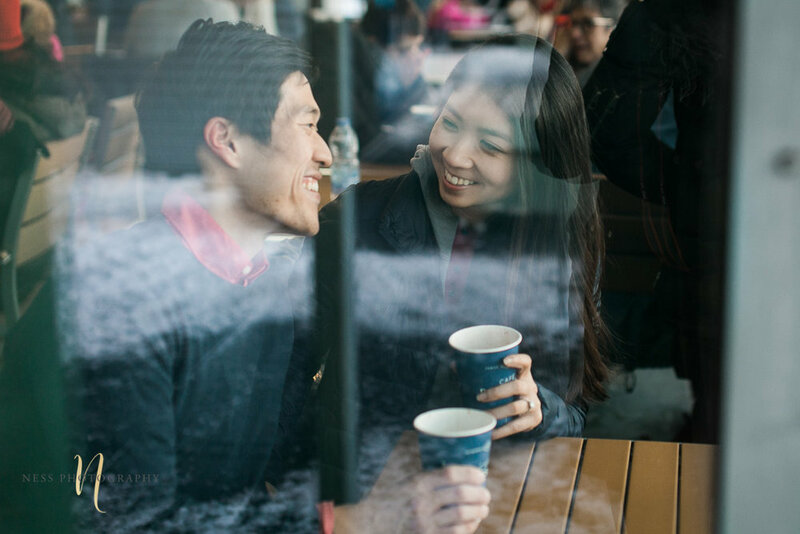 If you visited my blog before, you probably know how much I love photographing surprise proposals in Montreal. 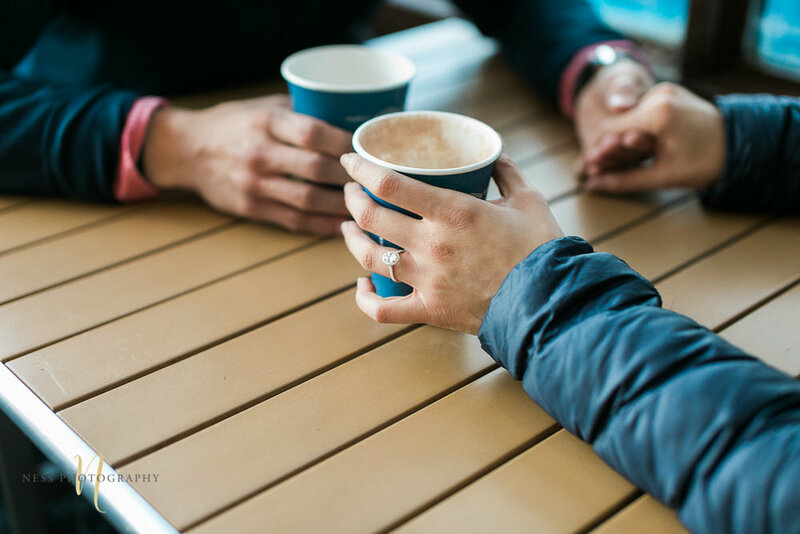 I had blogged before about this Fall Proposal in Square Saint Louis and this Summer Surprise Proposal at the Old Port Clock Tower. But this time, I got the chance the document this full on winter proposal. Juhan and noel had met during their studies in the United States but work had Noel move back to Hong Kong Whereas Juhan stayed in Atlanta. They both plan trips together on a regular basis and this time for their trip to Montreal, Juhan got ready to pop the question. 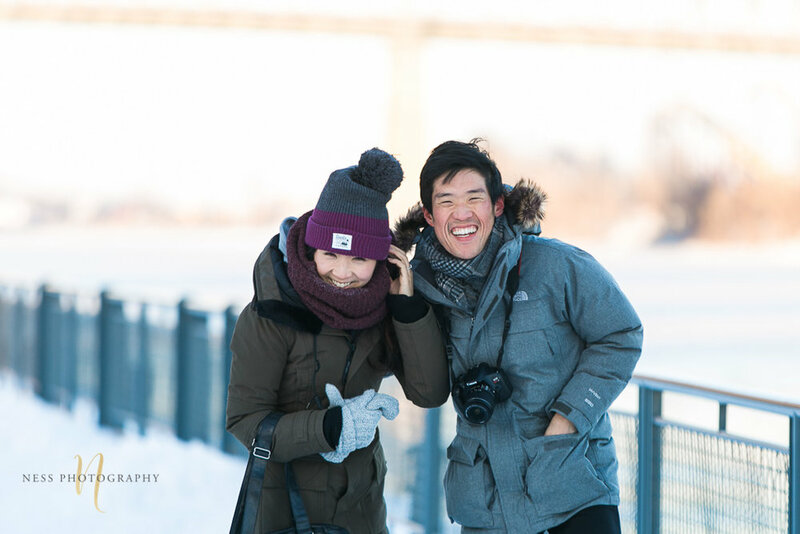 He contacted me few months before and we chatted together about possible time and locations and agreed to do it by the Clock Tower in the old port and the go to the Old Montreal skating rink for some winter engagement photos. December in Montreal is usually is snowy and cold (maybe an average of -10 degrees Celsius) and we were prepared for that. 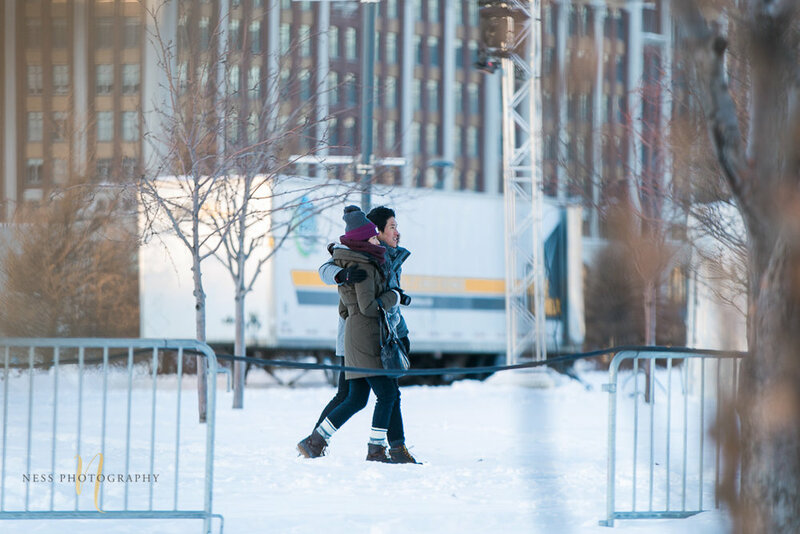 But what we were not prepared for is an extreme cold front that hit Montreal this December. The day of the shoot, the temperature was -25 and with the wind chill it reached -32 :( but we could not reschedule because Juhan and Noel were flying out in 3 days and the forecast was the same for the other days. 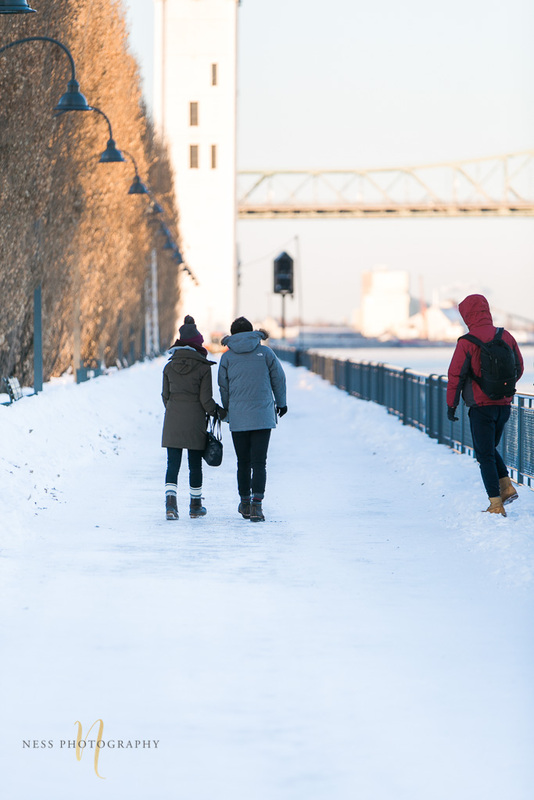 We braved the cold and headed out to the old port. And as usual, the most stressing and exciting part of the shoot was playing the paparazzi and hiding behind the trees until Juhan got on one knee and proposed. 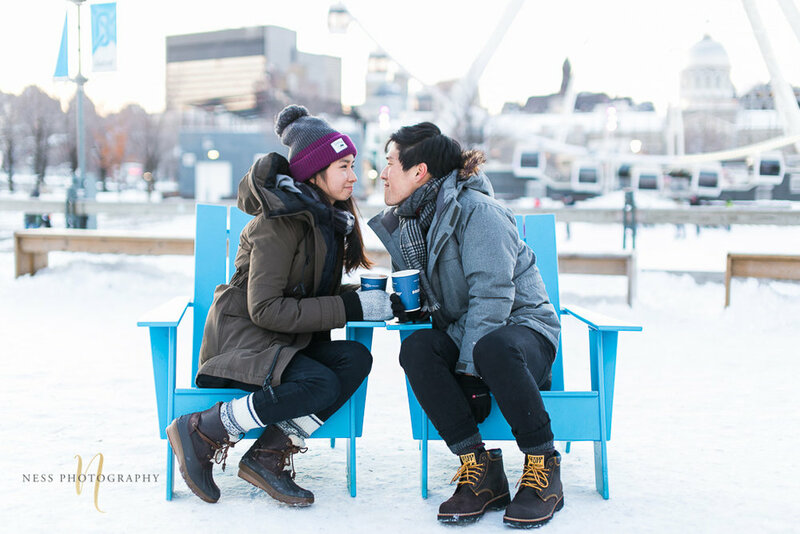 We barely lasted 10 min in the cold outside, so for the couple's photos we headed to terrace Bonsecours cafe to warm up with some hot chocolate. Despite the extreme cold, the skating rink in the old port was very busy so we got some photos on the Adirondack chairs in front of the skating rink and in front of the newly installed observation wheel.